Celebrating the 10th anniversary of Broadway's Wicked, Deborah Lippmann has released a limited edition trio of shades inspired by the magic of Oz. Each polish in this trio of mini lacquers embodies a certain point of inspiration from the story, and each is named after a song from the show. I don't know about you guys, but I am a big fan of Wicked. My delightful boyfriend took one for the team and went with me to see it, bless his heart. Anyway, as a fan of the show, I was really excited to try out this set! Popular is a squishy hot pink shade with a blue shimmer. This color was made to match Glinda's dress from the "Popular" number. It's super girly, as intended! I needed three coats for full coverage. The formula was smooth and easy, not too thick or too thin. Defying Gravity is a jade green shade inspired by the color of Elphaba's skin. Obviously you can't have a Wicked collection without including an Elphaba green! Again, I used three coats for the opacity shown here. The formula is creamy and smooth with a great shine, even without topcoat. One Short Day is an jewel toned emerald shade inspired by the glittering lights and glamour of The Emerald City. Again, another perfect point of inspiration! I love the mix of tiny shimmers and smaller glitters in this. It's nicely refined and not too over the top. Very classy representation! Here I've shown one coat over Defying Gravity. The glitters applied evenly without clumping. Which of these lacquers speak to you? I'm personally loving One Short Day. This product is only sold as a box set of all three mini lacquers. Deborah Lippmann's signature square bottles in mini size may just be the cutest thing ever, by the way. So adorable, I just want to hug them. 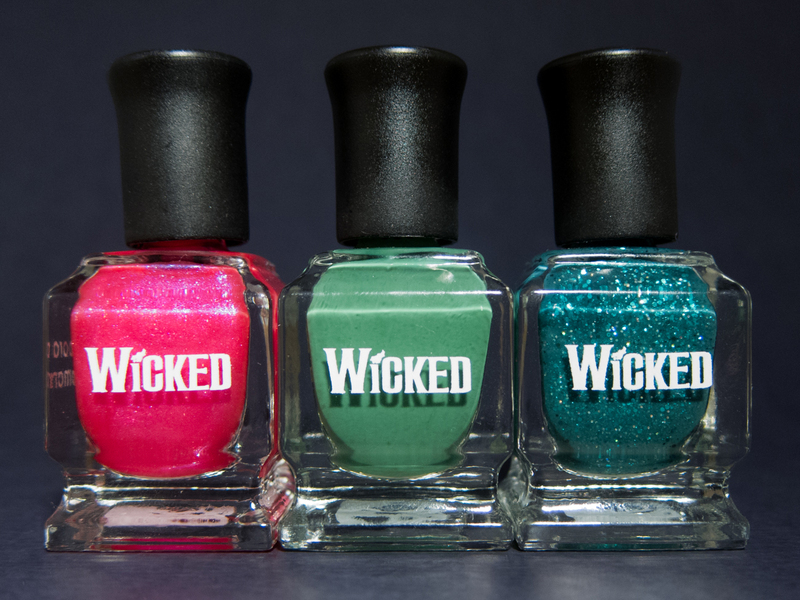 These particular bottles are printed with the Wicked logo (shown above) as well as the Deborah Lippmann logo. Availability: DeborahLippmann.com and Sephora for $29. Beautiful nails. I loved the colors of the glazes. 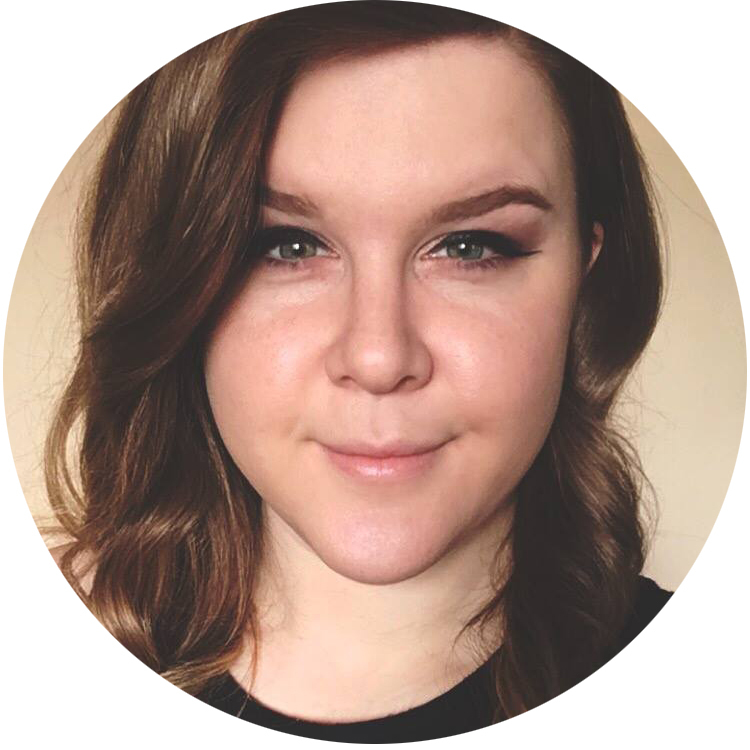 One Short Day is Gorgeous!! I don't care for Wicked myself but this collection looks cute! Love that glitter polish. One Short Day looks marvelous! Ahh I love Wicked! I've seen it twice! I want to love this set but I only like "One Short Day" =( might have to get it anyways though. One Short Day.. that is so pretty :D I love the depth! Hi Janine! I'm unsure what you mean -- I don't sell these polishes. You can find them via Sephora and DeborahLippmann.com. I'm not sure if they ship to the UK or not, sorry!